I had a very interesting time on a small tributary to the Rouge River this weekend. It rained Friday night so I was pretty sure the stream would be carrying some extra water which is really needed on water this small for spin fishing. 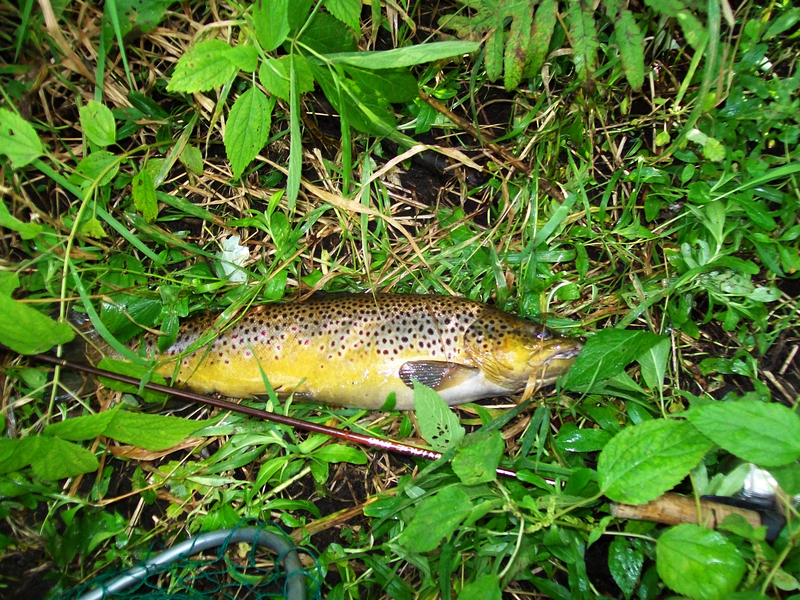 It turned out to be my best day of fishing (so far) this year with a couple brown trout over sixteen inches and one over twenty. And several smaller trout. It was all catch and release. I arrived about eight thirty in the morning and hiked into a normal put-in place which surprisingly was cleared away with a path right down to the stream. Someone had placed stair steps right into the river which was a shocker as I considered this section of stream to be “off the beaten path.” I tossed a lure from the top of the steps and right away a 16 inch brown came out from under a log for a quick look. After a couple casts he hit it and stayed on for about six seconds but managed to get off. So without even getting into the river I had some action. The stream, as I had hoped, was up and carrying a lot of mud. This was perfect as it allowed me to sneak up the river without being spotted by the trout and allowed me to make short casts upstream and perpendicular to the bank. 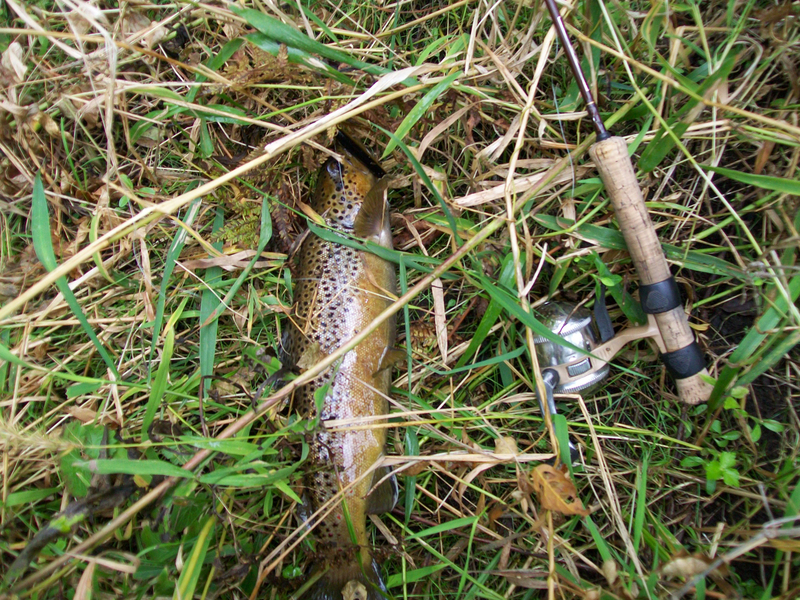 On small water like this the trout often hit when the lure is at the rod tip. Explode may be a better word. I use an ultra light rod and spincast reel with 10 or 12 lb test Trilene XL line. In other words, a rod and reel that allows me to make pinpoint accurate casts into tight cover and monofilament line that will not break off on a huge trout. I tossed a variety of lures including a gold super vibrax spinner and several minnow baits of various sizes and styles. 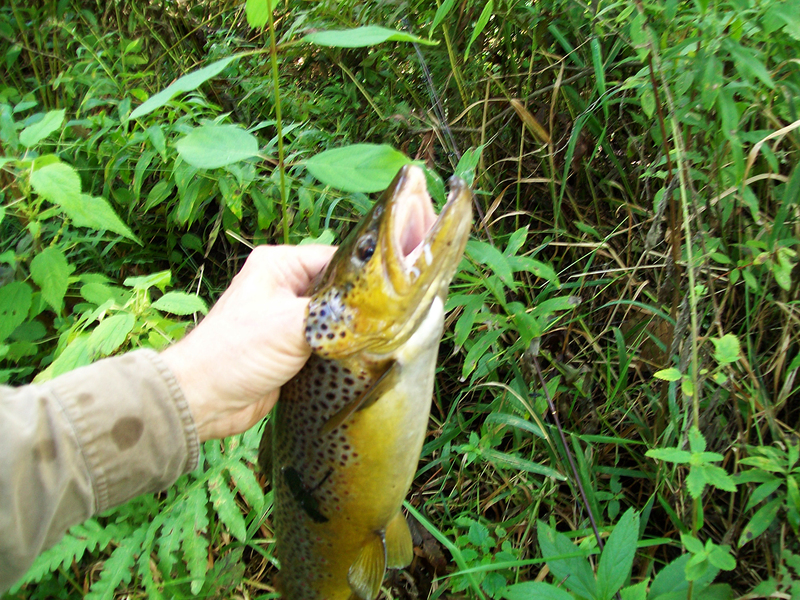 When fishing muddy water the main thing is the trout need to see the lure so something with a lot of flash is helpful. As mentioned earlier I caught trout of all sizes and that tells me this is a very healthy stream. 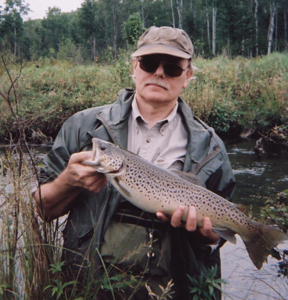 Small trout, ten to twelve inches with go after the same lures as the larger trout so if you are new to spin fishing don’t be surprised if a tiny trout hits your biggest lure, or vice versa. 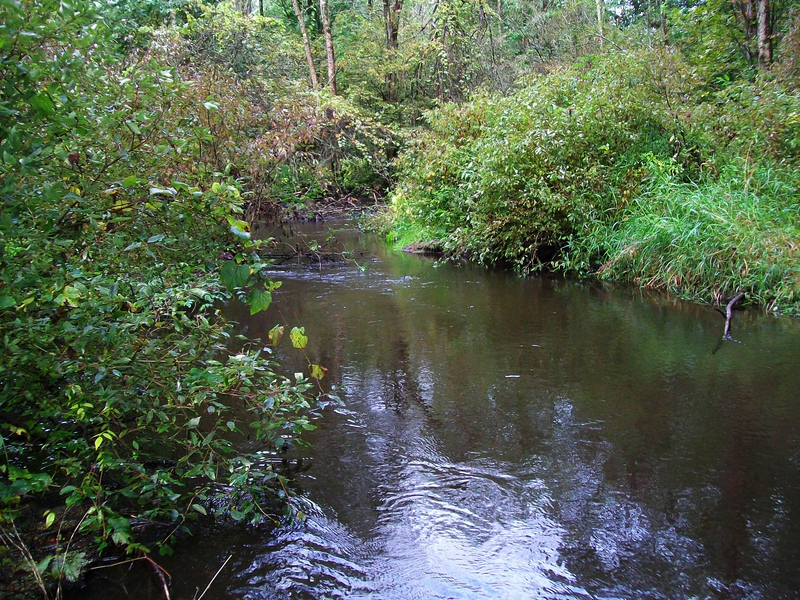 If you try fishing the smaller tributaries to notable trout streams, and can time your trip so the water is up and muddy, you will be surprised by the size and number of trout available.